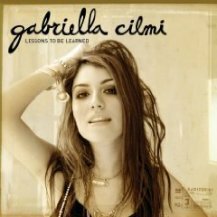 Italian-Australian Gabriella Cilmi’s (pronounced “chill-me”) debut album, Lessons To Be Learned, instantly infuses you with the feeling of empowerment. This is particularly potent if you are a woman, as her beefy belting out of determined beliefs will have you agreeing before you have a chance to think about it. Thick as syrup, rich as chocolate, and as full as an apologetic mass of red roses, Cilmi’s voice is brimming with the assurance of someone who is doing what she was born to be doing. The threats and taunts Cilmi delivers with snarls on album opener “Save the Lies” are tempered with body-shaking teases when she warns, “You better be good to me.” There is sincere soul pouring out of Cilmi’s throat that will have you swearing she is first cousins with Tina Turner or Billie Holiday — managing to morph their rasps into sneers. She turns her voice 180 degrees as she approaches the slower numbers, such as “Einstein” and “Sanctuary,” showing a range that makes her upbeat songs even more impressive. The way she croons over “Sit In the Blues” lulls you into a feeling of safety with gentle, rocking motions, while “Got No Place To Go” has a Lily Allen thing going on with its verbal rapid fire. The versatility of the songs is credited to British production team Xenomania, but it is Cilmi who is bringing her particular brand of brash feistiness to them. All this fuss, and little Gabby Cilmi is only 17 years old. For a blast of genuinely pure energy stronger than any chemically frightening drink out there, plug Lessons To Be Learned into your ear holes. 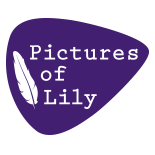 This entry was posted on March 22, 2009 by Lily Moayeri in Reviews and tagged album reviews, gabriella cilmi, lessons to be learned, lily moayeri, reviews, universal, venus zine.